Big Years: towards a fair competition ? Now that the World Big Year record has been broken by Noah Stryker, with more than three months and much of Asia and Australia to go, I guess a blog post on Big Years is in order. Big Years are an inheritantly unfair competition for a variety of reasons. Of course they have nothing to do with the quality or knowledge of a birder since they are primarily a function of a) dedication b) time c) money and d) a good internet connection. But that’s not the point, or at least not the point I am trying to make. They are inheritantly unfair because the birds and the birding within any given area – say the ABA region – will be different from year to year because biological systems are variable and thus unpredictable. This means that any comparison of results obtained in different years may not reflect the success of a birder’s endeavours but rather the variation of the overall birding conditions of the respective years, which are outside the sphere of anyone’s influence. The first strongly variable aspect that influences the occurrence of birds is the weather. For example, there are years with a strong winter and an influx of northern species, making them quite easy to chase, and years with mild winters where these species will be much harder to track down. Also, the chances for adding vagrants depend on the occurrence of storms from the right direction during the right season. In some years the storms are perfect, in others they aren’t. And there’s more: In a North American context, trying to break the Big Year record outside a strong El Nino year is very near to futile, as I was told, and even El Nino years cannot reliably be predicted during the planning phase leading up to a Big Year. This not only leads to an unfair comparison between the results of different years. It even adds insult to injury as a birder who has failed to break the record in an obviously less-than-ideal year can’t even blame the overall conditions. Because it is not possible to quantify how much harder or not the birding was in that year compared to the record year. On the other hand, a record holder may not receive the full recognition they deserve if they just happened to break the record during an ideal year. You see? Frustration all around. The inheritent unfairness of a Big Year competition. Now, one may simply state that these are the disadvantages birders have to live with on a daily basis, and if a birder doesn’t like it, they should just take up conducting electrophysical experiments in controlled laboratory conditions as a hobby instead. Which is fair enough. However, there’s more unfairness at hand in Big Year competitions: a variation in the number of species occurring within the boundaries of the competition area. For example, the ABA rules clearly state that one may only count species that are found on the ABA checklist. Chasing “firsts” for the ABA area during a Big Year therefore is a silly endeavour as they won’t count. Which is difficult to comprehend as the number of vagrants is what separates the wheat from the chaff during Big Years. Then of course there is the issue of taxonomic changes, most significantly splits, that makes it difficult to compare year list totals from different years. And last but not least, the ABA list is constantly growing due to the inclusion of escapes and ferals with established, self-sustaining populations. Heck, 20 years from now a birder may easily break today’s Big Year record by simply driving through the suburbs of southern Florida for a day or two. You see? It is inheritently unfair to compare list totals when the list is constantly changed. 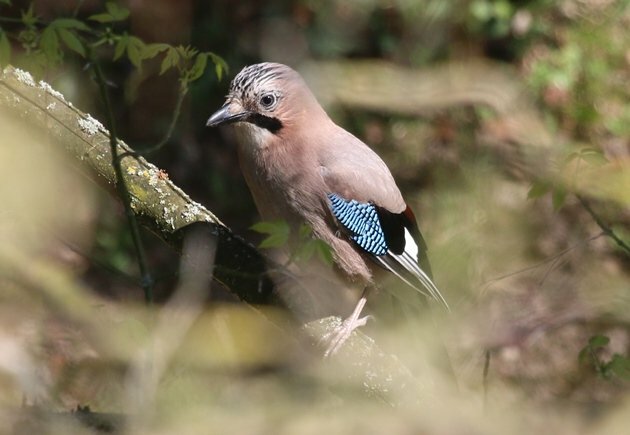 In today’s world – and the world dating back to surely the late 1980s – it should be possible to establish the number of species that were seen in any given area during any given year. Once you have that total from all birders combined, all you have to do is calculate the percentage a birder has seen of that total to reach a fair, neutral value of how well that birder did during their year’s birding adventures. 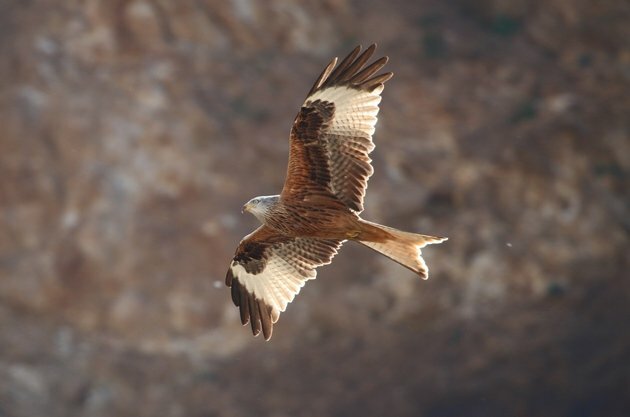 The precentage accounts for taxonomic changes, established ferals and weather conditions since these factors will likewise affect the total number recorded in the area by all birders combined. If you’ve seen e.g. 748 + 1 provisional species for the ABA area during a year where 759 species were recorded overall, you may consider this a record even if someone else managed 748 + 1 provisional in a year with 760 species. Your percentage will be 98.55% compared to 98.42% ! However, if you have seen 750 species during a year when 765 species were observed (maybe the result of easy additions due to splits or added exotics), you really haven’t broken the record since your percentage is only 98.04%. So I think the percentage is a veritable way of assessing the success of a Big Year and establishing a record holder. I’ve been doing something like that for a while now. Here’s what I do: The Clements checklist (at the moment) has10473 species on it. I’ve seen 1523 of them so my Clements ranking is 14.5%. If I do the same thing for the IOC World Bird List, it has more species (10732) and I’ve seen more of them (1541) but my IOC ranking is only 14.4%. 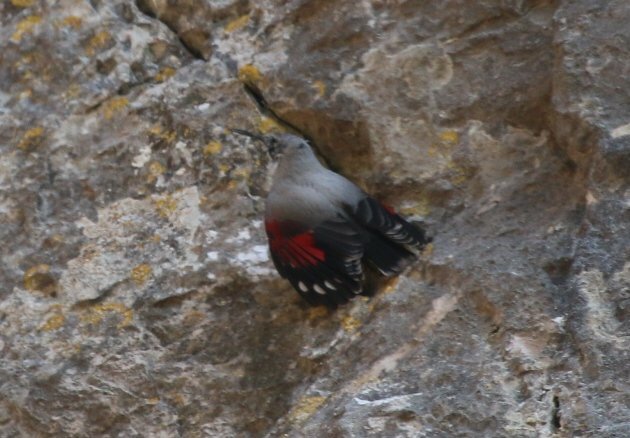 As for the Wallcreeper picture… grrrr… suffice it to say that Wallcreeper isn’t on of those 1523 or 1541! That’s great to hear! I thought I was the only onw who calculated the percentages of birds seen versus all birds for his life list and even biogeographic areas. Good luck with the wallcreeper. If you search the archives of this blog, you’ll find my first posts deal with my 20+ year search for my life wallcreeper. I’ve now seen three. There is some precedent for this in existing competitions. In the World Series of Birding, the state-level competition is decided based on the absolute number of species recorded, but the county-level competition is based on percent of par, with a different par for each county. (Theoretically the pars are based on how many species might be expected in a given county, but some numbers seem kind of random.) Since knowledge of where and how to find elusive species continues to improve (even as some species become more rare), I’m not sure a percentage-based comparison really helps with comparison of big years that are decades apart. But it might help compare results from different regions. The issue of information availability of course is a very tricky one and I don’t think there is a way of claculating that in. Maybe the title should have been “towards a fair(er) competition”. Interesting idea Jochen. It would also level the playing field where for example key locations are unaccessible eg the Attu island issue. Does anyone have any idea how it would impact the current US big year standings if percentages were used? I disagree with some of the premise of this Blog post. – This statement is patently untrue – at least at the state level. State level big years have a LOT to do with the quality and knowledge of the birder in question. For example, I used knowledge and effort to find a very-rare-for-South-Carolina Olive-sided Flycatcher in the South Carolina mountains during my most recent big year, and several other species too, particularly pelagic ones. 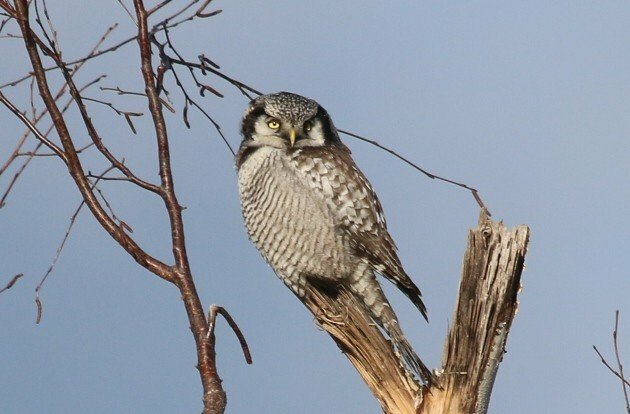 State level big year champions often find rarities THEMSELVES using their knowledge and birding ability – they do not simply follow Internet ticks blindly. Someone doing that is not likely to set a state-level big year. — This statement assumes that people plan and execute their big years WITHOUT assessing how the birds and birding are going BEFORE diving full-bore into a big year. This is not the case with savvy big year birders, particularly at the state level. For example, for both my last two record-setting South Carolina Big Years, I did not even begin a big year in earnest until late January or early February – when I knew I already had, or had a shot at, some of the toughest birds to acquire in South Carolina big years – namely winter vagrants like Longspurs, Crossbills, Alcids, Pacific Loons, etc. Big years might be unfair if everyone does as the author assumes and picks random calendar years and then executes big years blindly. But everyone can see how things are progressing early and either jump in or pull the plug on their big years accordingly. If people stack the odds against themselves by persisting in a big year quest during what reveal themselves to be poor conditions that is bad strategy / planning. Regarding your first disagreement, I guess you are progressively more correct (and my assessment is progressively more incorrect) the smaller your Big Year region gets. On a county and possibly even state level Big Year, you will likely have to find many rarities yourself and cannot simply rely on chasing other birders’ birds. However, time and money always play a vital role. As an extreme example: a very rich birder could easily take an entire year off and have 365 days of full-scale birding, with unlimited possibilities to fly and to hire local guides. Such a birder could then easily achieve a very high number without having identified – or being able to identify – a singly species. A very good birder who is entirely broke, has to work all year 6 days a week and can only afford to fill up their car once a month is clearly less likely to achieve the same number. I guess in most cases though, those birders who succeed in Big Years will be very dedicated and have therefore a high level of knowledge. As to the timing of Big Years: again, I guess that point also strongly depends on the geographic scale. It is certainly possible to just “bird hard” at the beginning of the year and then decide later on if you’re going “Big” or not. However, if you are talking about ABA or even World Big Years, you will definitely have to start planning a year or even two in advance to arrange for more holidays off work, make travel arrangements, save money etc. I’d be very interested in hearing your opinion on the percentage as a means to evaluate Big Year success, especially since you’ve been so successful in SC! A minor correction: ABA Area Big Year totals can include first-ABA records once the species has been added to the checklist. Taxonomic splits are not added to the BIg Year total, however, so that part is correct. Good to know that was changed. I remember this was discussed rather heatedly a few years back. Always good to hear from you, Jochen!!! I believe the current ABA record (Neil Hayward, 2013) was not established during an El nino year. But with a likely strong El Nino Year coming, it would be interesting to see if the record will be broken! Bonjour Laurent! Ca va bien en Michigan? Tout est bien ici en Heidelberg, comme toujours. Is there anyone even doing a serious big year now (or in 2016 for that matter)?